Chargeback Laws: Where Do Consumer Chargebacks Come From? When customers are the victims of payment fraud or deceptive merchant practices, they have the right to file a chargeback. But where does that right come from? Are there chargeback laws on the books guaranteeing consumer protections against fraud? As a matter of fact, there are. Credit card chargeback laws date back more than 45 years, to a time when credit cards were still a comparatively new innovation. Let’s have a look at the scope of laws in effect, and see how they’ve held up over the decades. 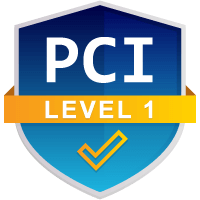 This law was originally enacted as title I of the Consumer Credit Protection Act. The original purpose of TILA was to promote informed use of consumer credit. For example, the act allows consumers to cancel some credit transactions involving a lien on the person’s primary home. In 1970, lawmakers expanded the law, prohibiting issuers from sending unsolicited credit cards to consumers. Several other amendments and updates to the act, such as those contained in the 2010 Dodd-Frank Act, passed into law in successive decades. Practices pertaining to credit cards. How to provide a means to dispute credit billing. How to disclose maximum interest rates in a variable-rate credit contract. Ultimately, the Uniform Commercial Code, or UCC, outlines current chargeback practices. The UCC’s purpose is to harmonize the laws governing sales and commercial transactions throughout the US market. Rather than dealing with a patchwork of state and territorial laws that would be impossible for most businesses to decipher, the UCC ensures that businesses can look to a single authority for compliance. Currently, the UCC outlines consumers’ credit card chargeback rights under U.C.C. – Article 4 – Bank Deposits and Collections (2002) > Part 2. Collection of Items: Depositary and Collections Banks > § 4-214. Right of Charge-Back or Refund; Liability of Collecting Bank; Return of Item. This section includes six key paragraphs. Let’s have a look at each one, then try to decode the legalese a little bit. If a collecting bank has made provisional settlement with its customer for an item and fails by reason of dishonor, suspension of payments by a bank, or otherwise to receive settlement for the item which is or becomes final, the bank may revoke the settlement given by it, charge back the amount of any credit given for the item to its customer's account, or obtain refund from its customer, whether or not it is able to return the item, if by its midnight deadline or within a longer reasonable time after it learns the facts it returns the item or sends notification of the facts. If the return or notice is delayed beyond the bank's midnight deadline or a longer reasonable time after it learns the facts, the bank may revoke the settlement, charge back the credit, or obtain refund from its customer, but it is liable for any loss resulting from the delay. These rights to revoke, charge back, and obtain refund terminate if and when a settlement for the item received by the bank is or becomes final. Remember: when a customer demands a chargeback, that money isn’t drawn directly from the merchant’s account. Instead, the issuer withdraws the money from the merchant's acquiring bank. In simple terms, Paragraph A says a collecting bank (the acquirer) has the right to withdraw funds from merchants’ accounts to cover chargebacks. So while the acquirer is initially responsible, they can recover their losses from the merchant. Also, if the bank delays filing, they can still carry out these processes. However, the bank is then liable for any additional loss resulting from the delay. A collecting bank returns an item when it is sent or delivered to the bank's customer or transferor or pursuant to its instructions. Under the Index of Definitions in Section 4-214, an “item” refers to “a promise or order to pay money handled by a bank for collection or payment.” Paragraph B outlines what it means for the collecting bank (the acquirer) to “return an item” in the language under Paragraph A. A depositary bank that is also the payor may charge back the amount of an item to its customer's account or obtain refund in accordance with the section governing return of an item received by a payor bank for credit on its books (Section 4-301). Paragraph C of the chargeback law gives the payor bank (the issuer) the right to transfer funds recovered through a chargeback to the cardholder’s account. (2) failure by any bank to exercise ordinary care with respect to the item, but a bank so failing remains liable. Paragraph D outlines two specific conditions that won’t affect the right to a dispute under chargeback law. Subsection 1 says, even if a source of credit has been used before for an item (in which “item” describes the order to pay money handled by a bank), it is still eligible for a chargeback. Under Subsection 2, chargeback rights are also not affected by the bank’s mishandling of an item. A failure to charge back or claim refund does not affect other rights of the bank against the customer or any other party. Even if an acquirer is unable to overturn a chargeback and cannot recover funds from the merchant, this does not invalidate any other rights possessed by the bank. If credit is given in dollars as the equivalent of the value of an item payable in foreign money, the dollar amount of any charge-back or refund must be calculated on the basis of the bank-offered spot rate for the foreign money prevailing on the day when the person entitled to the charge-back or refund learns that it will not receive payment in ordinary course. Paragraph F details how to conduct a chargeback involving foreign currency. The bank calculates the exchange rate based on the value of the currency at the moment of the quote. Most businesses write-off chargebacks as too complicated to bother with. But better chargeback management makes everything easy. The credit card chargeback laws outlined above form the foundation of the chargeback system here in the US. But of course, they’re just the basics. You also need to account for decades of overlapping–and often redundant–industry policies and practices. The rules outlining how you conduct a chargeback vary based on card scheme. 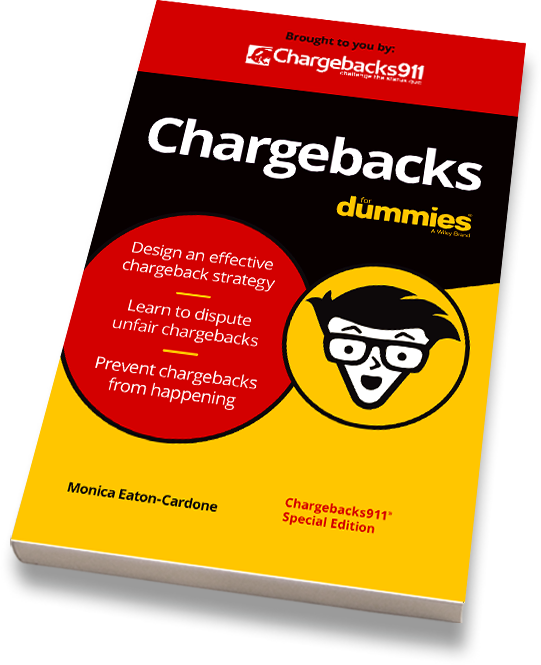 On its own, the guide outlining Mastercard chargeback rules is more than 400 pages long! Plus, those rules can change at any time. 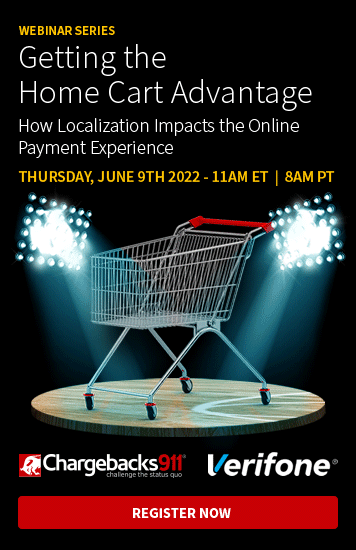 For example, Visa overhauled their entire process in 2018 with the Visa Claims Resolution system. Mastercard is in the process of doing the same with their Mastercard Dispute Resolution Initiative. Smaller changes happen inconsistently. In fact, the payments industry is infamous for inconsistency. That’s precisely why bad actors can abuse chargebacks and leverage them as a tool to engage in cyber shoplifting. Others, simply unable to understand the rules, contribute to roughly $20 billion in friendly fraud losses every year. There is a better way, though. After all, you should be spending your valuable time growing your business…not researching arcane chargeback laws and card scheme regulations. Why not see how the industry’s leading experts can help you free-up time and resources...and recover revenue in the process?